Orlando, Fla. — The Bulls entered Amway Arena Wednesday night looking to get back on track after losing their past two games and the Magic were trying to recover from the big lead lost against the Knicks. Both teams have been struggling to close out games and tonight’s focus for both teams was to play a complete 4 quarters and get a victory. Big questions were answered just prior to the game as Chicago’s “Big Three” in Rajon Rondo, Dwayne Wade and Jimmy Butler were on the injury report and were all deemed the dreaded “Game Time Decision. Butler and Rondo would play with Wade sitting out and for the Magic, their “Monster in the Middle” Nikola Vucevic was out while nursing a sore hamstring. The first half was all about shooting or lack thereof as both teams struggled in the first half. 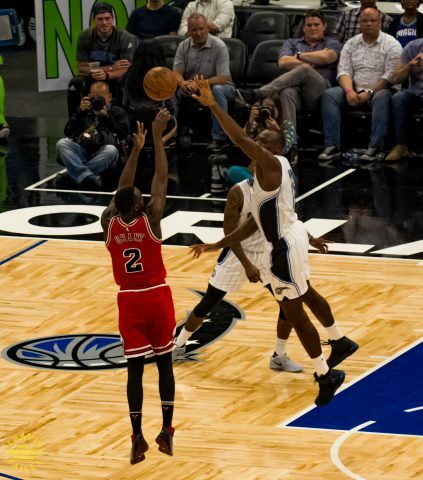 The Magic shot 35 percent and the Bulls, a bit better at 38 percent. The second quarter was more of the same for the Magic but All-Star Jimmy Butler started to heat up for the Bulls and finished with 13 for the half as the Bulls went to the locker room up by ten with the score 53-43. The third quarter turned into the Elfrid Payton and Jimmy Butler show. Payton was dominant again versus the Bulls as he was in last year’s matchup at Amway. 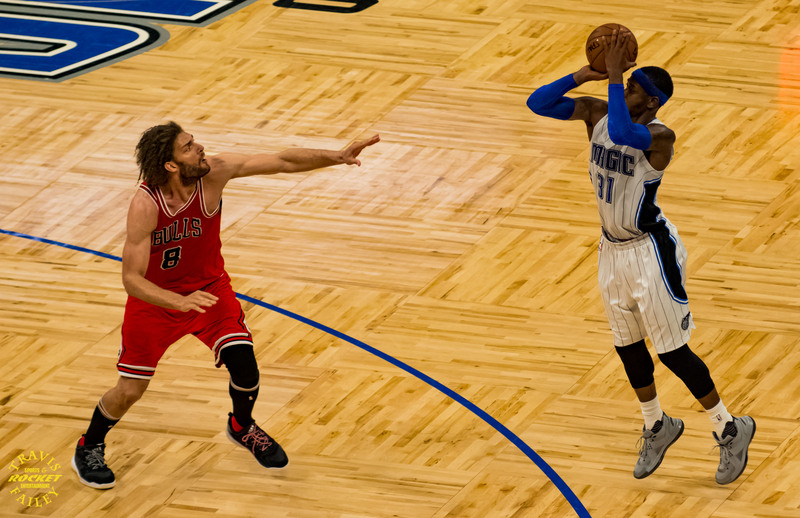 He led in all the positive statistical categories for the Magic through three quarters and when the Magic closed the Bulls lead to two at 72-70, Butler coasted down the floor and put up a big three to bring the lead for the Bulls back up to 5. Evan Fournier got involved early and often in the third quarter and teamed up with Payton to bring the Magic all the way back as they tied the game up at 77 going into the final quarter. Fornier put up 12 points in the third to lead both teams. Which team was going to solve their recent forth quarter woes??? It didn’t look good for either as both teams started the forth with their backups on the court and were miserable from the field for over four minutes in the quarter. DJ Augustine gave the Magic a two point lead with a slashing cut move to the hoop and layed it for a Magic lead at 83-81. The Bulls took a full timeout and brought Jimmy Butler back in for the stretch run. After a Butler turnover, The Magic took their biggest lead of the night as CJ Watson went coast to coast for an easy layup to put them up 88-82 and another Bulls timeout. 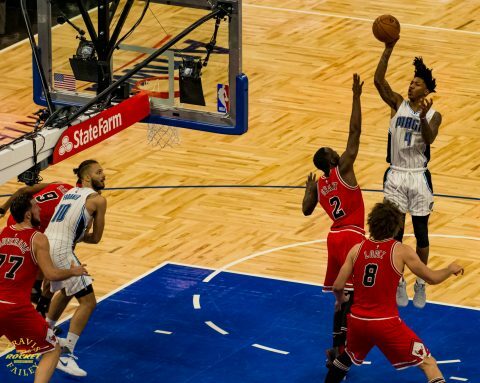 The Magic maintained their lead throughout the forth quarter and when they opened the door for the Bulls to tie the game up at 93, the Magic controlled the offensive boards as Payton got a huge rebound and a basket to bring the lead to 95-91. 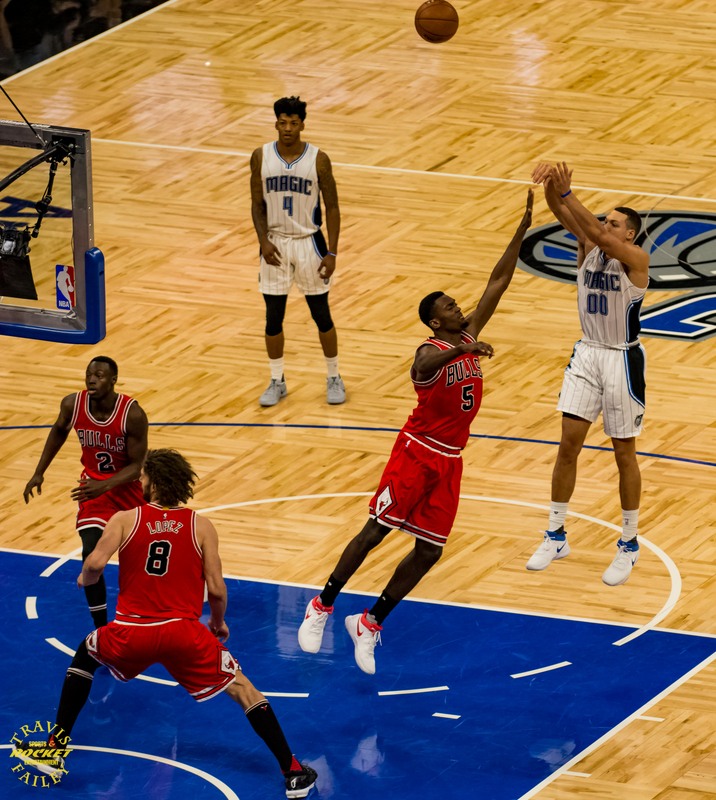 After a miss by a triple teamed Jimmy Butler and a huge rebound on the defensive end by the Magic’s Aaron Gordon, The Magic closed out the Bulls at the Amway Center by the score of 98-91. One team, the Magic solved their forth quarter woes for at least one game and with this Bulls loss taking them to 2 games under 500, their playoff chances look slim as Miami is breathing down their necks for the eighth seed in the East. Up next for the Magic? A home game with the defending champs and the King on Saturday night. It will be Cleveland’s only stop in Orlando this season.